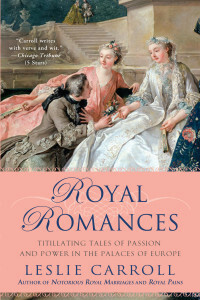 Leslie Carroll’s fourth “Royal” book covers twelve monarchs and their great loves. Chronicling many that aren’t found in the other books, and some simply from a different angle, Royal Romances is all about love matches. Beginning with the 15th Century French King, Charles VII and ending with Prince William and Kate Middleton, it also features many personalities you won’t find a plethora of information on elsewhere, such as Sophia Dorothea of Celle (estranged wife of England’s King George I), Ludwig I of Bavaria and one of the most interesting to this reader—Elizabeth Bowes Lyon, estimable wife and consort to George VI. Not only chronicling love and romance, Royal Romances explains how most of these liaisons—as very few in this read were married to each other—had an effect on politics and state matters. Some were to the country’s benefit, and some to its detriment; all noteworthy and extremely fascinating. With excerpts from letters, quotes from contemporaries and obvious in depth research, Leslie Carroll brings to life the most intimate details of relationships that sometimes changed the course of a nation. 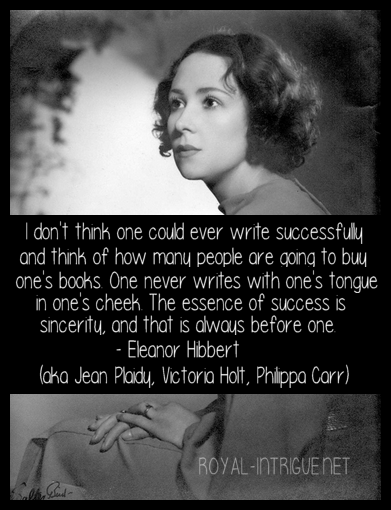 One of the attributes of the author’s writing that stands out is her talent for phrasing, which I noticed with the first of her books I read. Perfect flow and just the right touch of modern witticisms make her books fun reads as well as educational. I highly recommend the Royal series and her books under the pen names Amanda Elyot and Juliet Grey.